For most Michigan kids, the school year is over next week. 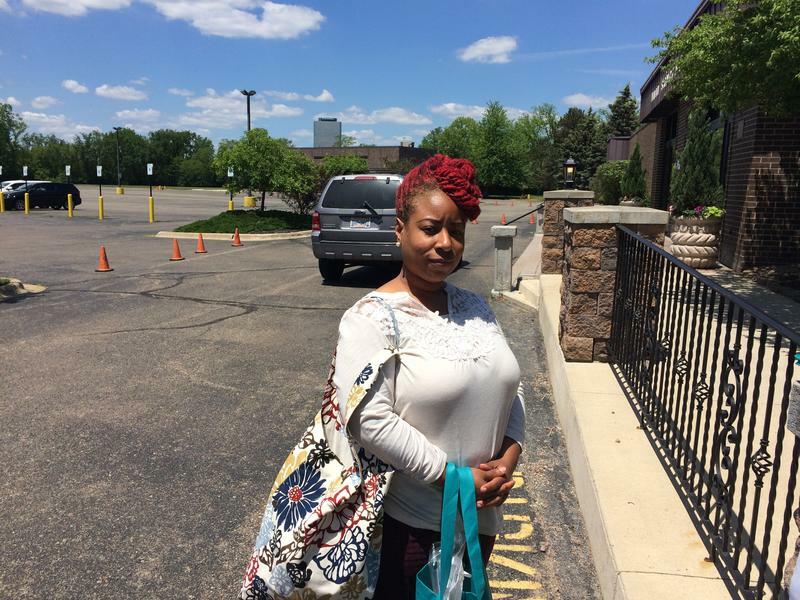 But for the 300-some kids at Taylor International Academy in Southfield, it ended twelve days early, after the charter's management company suddenly pulled its staff, including the principal. On Tuesday, voters across Michigan will decide whether to renew local taxes that fund public schools. And voters in one Michigan community will be asked to vote for a millage renewal, that they’ve already rejected twice. The state closed the Buena Vista school district in 2013. Its students were divided among three other districts, including Saginaw public schools. Since then, Buena Vista voters have twice shot down a renewal of a school millage on local businesses. Two politicians whose districts include Inkster say the state should forgive the $36 million debt of the city's dissolved school district. State officials dissolved Inkster Public Schools in 2013 after deciding it had no viable plan to get back in the black. Representative Julie Plawecki says the students are doing well in neighboring districts, "however, Inkster still has this debt that they will pay on for years to come, and at the end they're left with nothing, not the land, not the schools, nothing." A bill moving through Lansing would relieve Buena Vista residents of debt left over from the township's dissolved school district. Buena Vista voters yesterday rejected a non-homestead millage to continue paying off the $725,000 debt. They rejected a similar proposal last November. 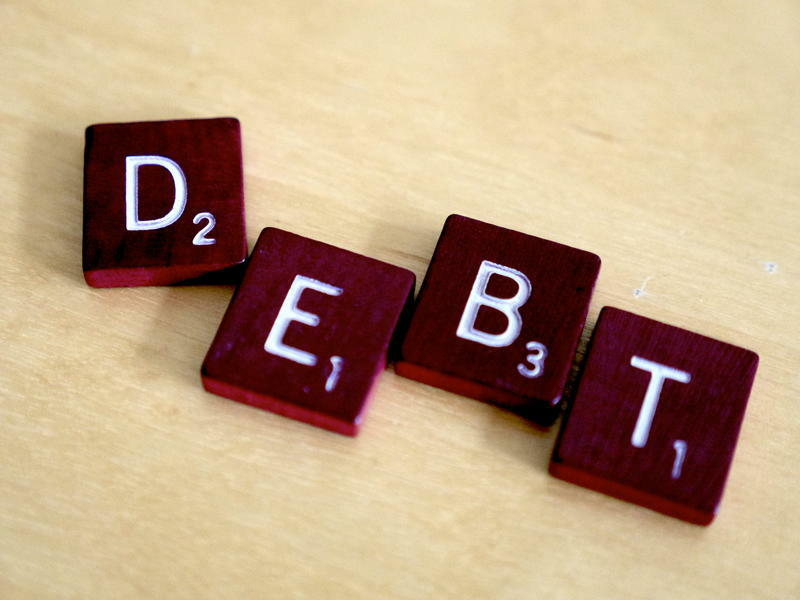 The Saginaw school district could soon be out of debt. And it can thank the defunct Buena Vista School District. The school board voted tonight to accept a $5 million offer for the old Buena Vista High School from an educational services company. The Saginaw school board is expected to vote tonight on a deficit elimination plan. The plan calls for major changes to the district, which is facing a multimillion dollar deficit. The state education department is threatening to withhold the district’s February state aid payment unless a new deficit elimination plan is submitted by Monday. The Saginaw Intermediate School District board voted to close the Buena Vista School District yesterday. The nearly 400 students will be split up it among the Saginaw, Bridgeport-Spaulding and Frankenmuth districts. According to MLive, 261 students attend the part of the Buena Vista district that the Saginaw schools are absorbing and 135 the Bridgeport-Spaulding schools' section; there are no students in the rural area that Frankenmuth is taking. The deadline to present funds for the preservation of a portion of the former Willow Run bomber plant was originally tomorrow, August 1. However, the trust set up to oversee properties owned by a pre-bankruptcy General Motors announced yesterday that it's extending the deadline until October 1, the Detroit Free Press reports. The Save the Bomber Plant campaign has raised $4.5 million toward the $8 million cost of preserving 175,000 square feet of the plant and turning it in to the new home of the Yankee Air Museum. Developers of a $140 million streetcar line planned for a 3.3-mile course through the heart of Detroit have selected Stacy and Witbeck Inc. to serve as construction manager and general contractor, according to the Detroit News. Groundbreaking on the project could take place in the fall. The streetcar line is scheduled to start running in late 2015. Officials have said they don't believe that Detroit's bankruptcy case will affect the privately managed streetcar line. Updated, 9:40 p.m. The Board of the Saginaw Intermediate School District has voted to dissolve Buena Vista Public Schools, and redraw nearby district boundaries to absorb its students. Students will be accepted by the Frankenmuth, Saginaw and Bridgeport-Spaulding districts. Inkster Public Schools no longer exists - and Buena Vista School District will soon join its fate. A state law aimed at swiftly addressing the two districts' financial problems required their immediate dissolution. Wayne County RESA Superintendent Chris Wygant says he disagrees with the state legislature's decision to draft the law in such a way that it included Inkster. He says an emergency manager appointment would have sufficed. "But now we're trying to shift our thinking from all that adult stuff into what's really best for these children." 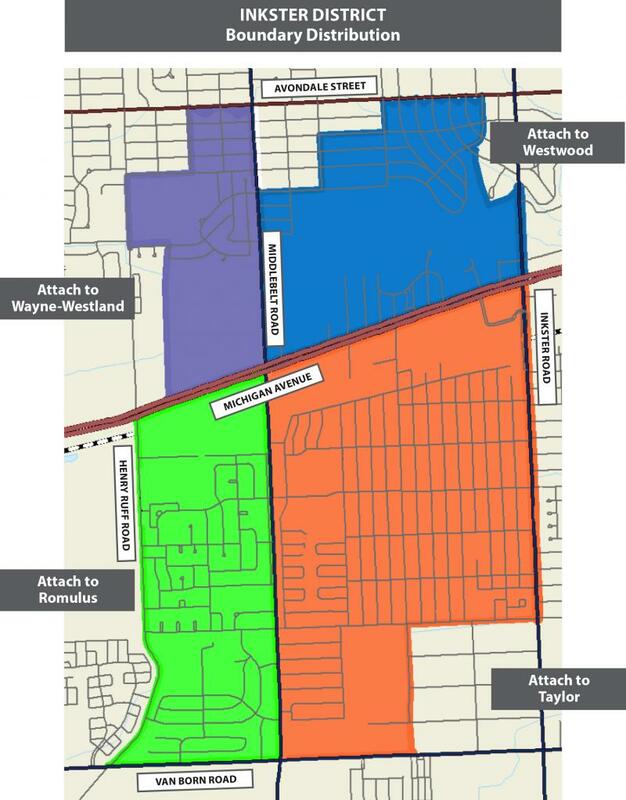 Wygant's agency dissolved the Inkster district last week, and redrew the boundaries of surrounding districts in order to absorb its roughly 1700 students, who will attend either Westwood, Wayne-Westland, Romulus or Taylor school districts. The Saginaw Intermediate School District will vote to eliminate the Buena Vista School District on Tuesday. "Transportation is a major issue, as we try to equalize as best we can," says Saginaw ISD Superintendent Richard Syrek. He says two of the biggest districts that will likely absorb many of Buena Vista's students are a long bus ride away. The Buena Vista and Inkster Public School districts will be dissolved. Both districts missed a 5pm deadline today to prove they had enough money to keep doors open next school year. Richard Syrek is superintendent of the Saginaw Intermediate School District, which will be responsible for dissolving Buena Vista schools. He says the ISD plans to hold a community meeting Wednesday evening. Syrek says a number of surrounding school districts say they can accommodate students from Buena Vista in the fall. Officials with Inkster Public Schools said Comerica Bank was willing to extend a loan to the district. But they say it fell through because state officials would not approve Inkster’s deficit elimination plan first. Yesterday, the University of Michigan Board of Regents approved the provision of in-state tuition to undocumented immigrants. Michigan Radio’s Tracy Samilton reports that “undocumented students will have to show they attended middle school and high school in Michigan to get the lower tuition rate.” This comes after two years of lobbying from activists and undocumented students. Small school districts with big money troubles could be broken up by the state under a new law signed by Governor Rick Snyder on Tuesday. Saginaw County’s Buena Vista and metro Detroit’s Inkster could be the first districts dissolved and folded into their neighbors under the new law, MPRN's Rick Pluta reports. Governor Snyder says that the review of the districts is proceeding quickly, so students and their families will know where they’re attending classes in the fall. “We’re talking days, not months,” Snyder said. This week in Michigan politics, Jack Lessenberry and Emily Fox discuss Governor Snyder and Randy Richardville's final efforts to expand Medicaid, a bill recently signed to dissolve financially struggling school districts in Michigan, and another ballot initiative to ban wolf hunting. 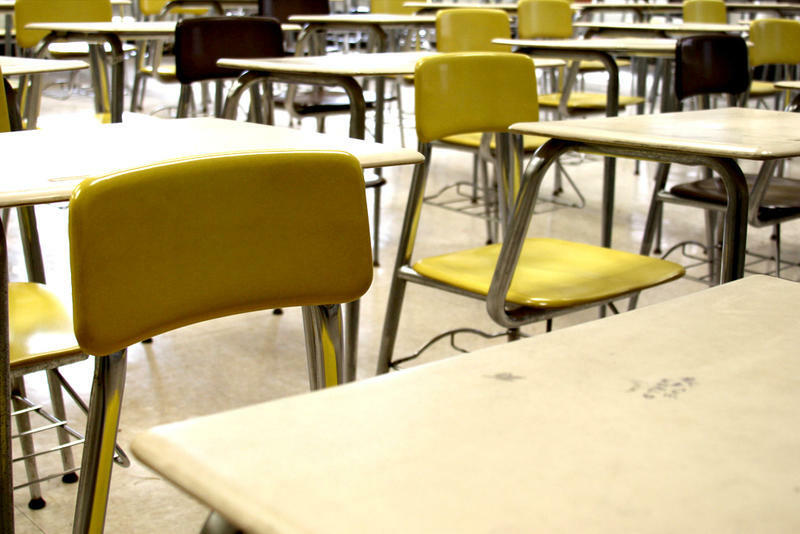 Governor Rick Snyder has signed a law which would allow the state to consolidate small, financially struggling school districts with neighboring districts. Inskter in metro Detroit and Buena Vista in Saginaw County would be the first districts affected. Snyder also announced that a work group would be trying to develop a better system for fixing schools with looming financial problems. "There is a new petition drive to put a referendum on a wolf-hunting law on the November 2014 ballot. If it’s successful, this would be the second ballot challenge to a Michigan wolf hunt. This drive takes aim at the new hunting law adopted after a previous ballot campaign turned in enough petitions to suspend the earlier wolf-hunting law," Rick Pluta reports. The Detroit City Council is holding off on replacing its leadership over lingering legal questions. The Council will vote next week on who will replace Charles Pugh as Council President. Pugh has been missing for several weeks, and he has been stripped of his pay and responsibilities. The Council will also select a President Pro-Tem, its second-highest leadership position. Last night, Buena Vista School District held meetings to discuss two important issues. 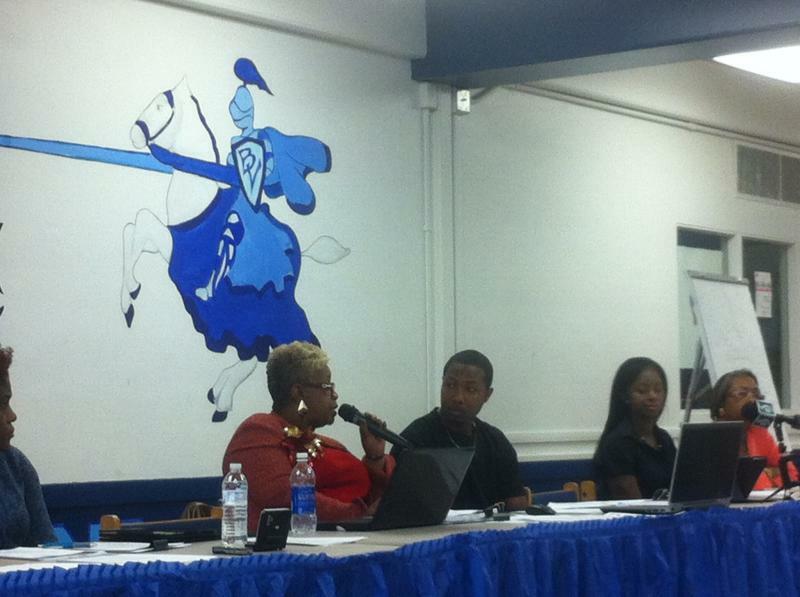 Overall, while the board made decisions for the 2013-2014 school year assuming the school district would open this coming fall, the future of the district depends on whether or not higher ups decide to dissolve the struggling school system. First, the board made decisions on the school district’s budget and layoffs. "The U.S. Supreme Court’s decision striking down a key part of a voting rights law means the state of Michigan will no longer have to clear new election laws with the federal government," Rick Pluta reports. 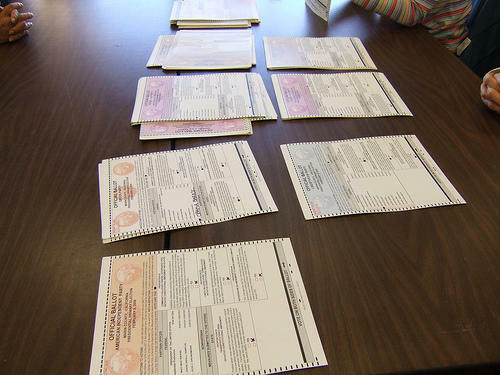 Two counties, Buena Vista in Saginaw County and Clyde in Allegan county, were covered by the federal Voting Rights Act after failing to provide adequate help to Spanish-speaking voters in the 1970s. Detroit’s emergency manager Kevyn Orr has denied City Council President Charles Pugh's request for medical leave. Pugh has been absent from Council meetings for a few days, and he has not returned phone calls. Orr says Pugh must report to work by 5:00 pm on Wednesday, or be stripped of his salary and responsibilities. The Board of Education for the Buena Vista School District near Saginaw approved layoffs for nearly all of its teachers and staff on Tuesday. "School officials the district will have about $2,000 as of July 5. Board President Randy L. Jackson says the district still is making plans for fall classes. The board approved an application to request a $2.5 million loan from the state to help keep running," according to the Associated Press. As Rick Pluta reported earlier, two Michigan townships could be affected by the U.S. Supreme Court's decision on the Voting Rights Act announced today. The Voting Rights Act requires that the federal government approve any changes to voting procedures in areas with a history of discrimination. In Michigan, Buena Vista Township and Clyde Township were both required to submit any proposed changes to their voting rules to the U.S. Department of Justice. The Voting Rights Act covered areas where more than 5% of the population spoke a language other than English. In these areas, bilingual ballots were required. Both Buena Vista Townships and Clyde Townships had Hispanic populations above 5%. An English-only ballot in these places was considered to be a discriminatory 'device', according to the The New York Times. 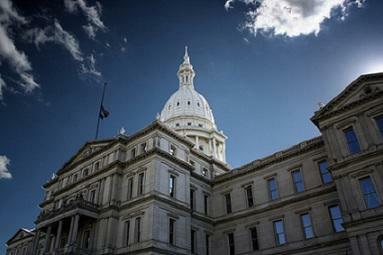 The Michigan House has given final approval to bills that will allow the state to dissolve small, struggling school districts. The legislation now goes to Governor Rick Snyder. The first two districts affected would be Inkster and Buena Vista. They’re small, losing students, and don’t have enough money to open in the fall. Republicans say the legislation will ensure students have a place to go when classes begin. They also hope it will encourage struggling districts to consolidate. Bills allowing the state to dissolve debt-ridden school districts heads to Governor Snyder’s desk today. They were approved yesterday by the state House, with votes following party lines. Rick Pluta reports that this may enable the state to quickly shut down the Buena Vista and Inkster school districts. 1300 bridges in Michigan have been judged unsafe in a new study from Transportation for America. Jeff Cranson with the Michigan Department of Transportation believes that Governor Snyder’s 1.2 billion-dollar road investment bill will help fix the problem. Governor Rick Snyder will return early from his trip to Israel today in order to lobby for Medicaid expansion. Snyder will encourage fellow Republicans to pass the legislation. 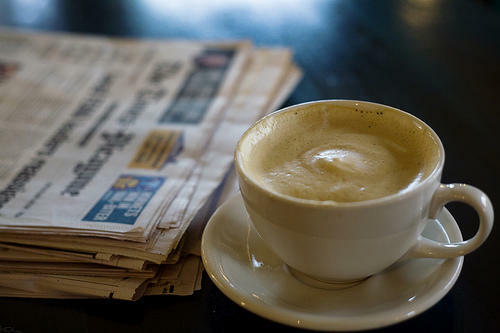 “Today is the last day for lawmakers to pass Medicaid expansion before their two-month summer break,” reports Jake Neher. For the first time ever, General Motors topped the Initial Quality Survey released by automotive tracking firm J.D. Power. Michigan Radio’s Tracy Samilton reports that GM received a better score than any other corporation in the study. She says "people are reporting very few mechanical problems. Most automakers have drummed out serious engine and transmission defects from their cars." 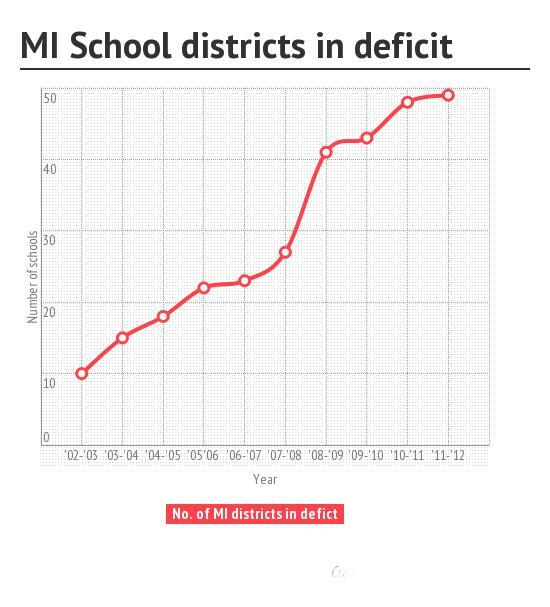 To add to the woes of public education in Michigan, six new school districts are running deficits. Forty-nine was the record, now make it 55 school districts – from the Traverse Bay Area to Wayne County – with deficits. 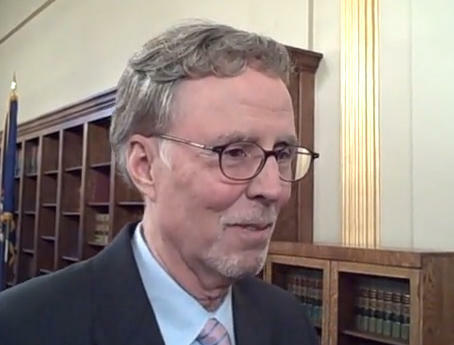 State Superintendent Mike Flanagan says declining enrollment is the most-common issue in the deficit districts. That’s led to a loss of state funding. Flanagan says schools do need more resources, but most are keeping their budgets balanced. The ones that don’t, he says, are a rarity. State lawmakers are working on legislation they hope will prevent another crisis like the one in the Buena Vista school district. Students there sat at home while school was closed for two weeks last month because the district couldn’t afford to pay its teachers. Buena Vista is not alone; a number of districts have had problems keeping their doors open because of financial problems this year. Twenty seven seniors from Buena Vista High School graduated yesterday. After the school district's difficult year and budget crisis, the graduation was a happy event for the school and community. The future of the school district remains uncertain.